Norma Reilly died peacefully on March 25. She was 67. Born in Irvington, New Jersey, she was the daughter of George and Jacqueline Becker. Mrs. Reilly grew up in New Providence and lived in Lake Hopatcong and Pompton Plains before moving to Randolph in 1992. After graduating from Misericordia University in 1974, she taught special needs children before accepting a position at Prudential as an underwriter. While at Prudential she met her husband John of 35 years. Together, they raised three wonderful children and traveled extensively. Norma particularly enjoyed spending time with her family in Vermont. She was a longstanding and active member of Resurrection Parish. Norma was a woman of great kindness, compassion, courage and generosity who loved her family deeply. No one was a better listener. She will be profoundly missed. 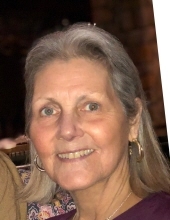 Throughout her life, she was surrounded by a large and loving family--her husband, children and grandson, parents, sister and brothers and devoted nieces and nephews. Mrs. Reilly was predeceased by her parents, George and Jacqueline Becker; her brother Eugene F. II; and her sister, Mary Jacqueline. Survivors include her husband, John T. Reilly Jr.; her two daughters, Leigh Reilly of New York City; and Laura Spellman and her husband, Chris of Flemington, and their son, Ryan; and her son, Jack Reilly of Nashville, TN. She is also survived by her sister, Nancy Becker of New Hartford, NY and her two children, Jeffrey and Erica; and her brother George H. Becker Jr. and his wife, Michele of Morris Township and many loving friends and relatives. A Mass of Christian Burial will be on Saturday, March 30 at 10:00 a.m. at Resurrection Parish on Millbrook Ave., Randolph. Interment will be at Gate of Heaven Cemetery, East Hanover. Hours of visitation will be on Friday, March 29 from 4 to 8 p.m. at Doyle Funeral Home, 106 Maple Ave., Morristown. In lieu of flowers, donations may be made in her memory to an organization that became close to her heart following the death of her brother, Eugene Becker: the Melanoma Research Foundation, 1411 K Street, NW, Suite 800, Washington, DC 20005. To send flowers or a remembrance gift to the family of Norma J. Reilly, please visit our Tribute Store. "Email Address" would like to share the life celebration of Norma J. Reilly. Click on the "link" to go to share a favorite memory or leave a condolence message for the family.